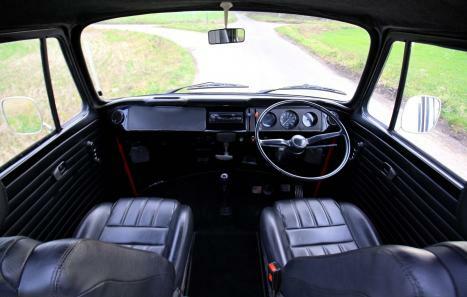 A lovely example that has been subject to a lot of restoration work. 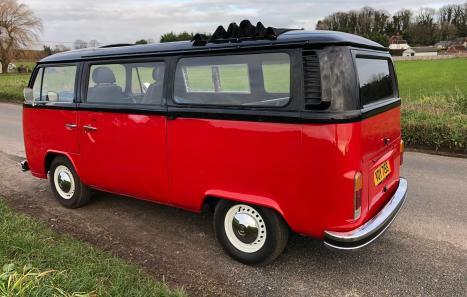 The body was stripped back to reveal any areas that required attention and all of the usual repair panels were replaced including new sills (inner and outer), wheel arches (inner and outer), doors, boot lid, engine lid etc. 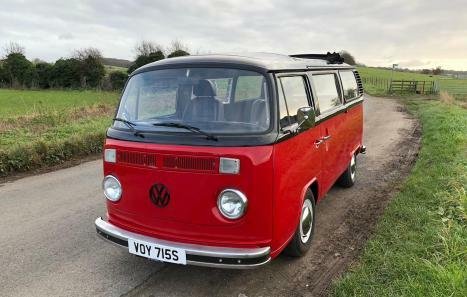 Any areas of rust found were cut out and replaced at the time before the bus was primed and freshly painted in stunning early VW style colour scheme, red and black. 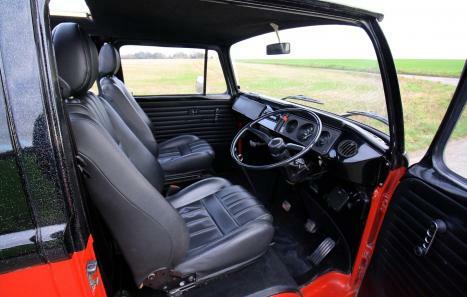 The black paint has been skilfully given a metal flake finish indicative of 1970’s styling / fashion that gives a lovely glisten in the sunshine and impresses folk wherever you take it! The 2.0L air-cooled engine runs smoothly and the gear selection is positive and firm with the added benefit of an Empi quick shifter. New Twin Weber Carbs installed for added performance. You can really notice the difference in power with this add on. New front and rear shock absorbers. Dropped Spindles. Braking system overhauled.